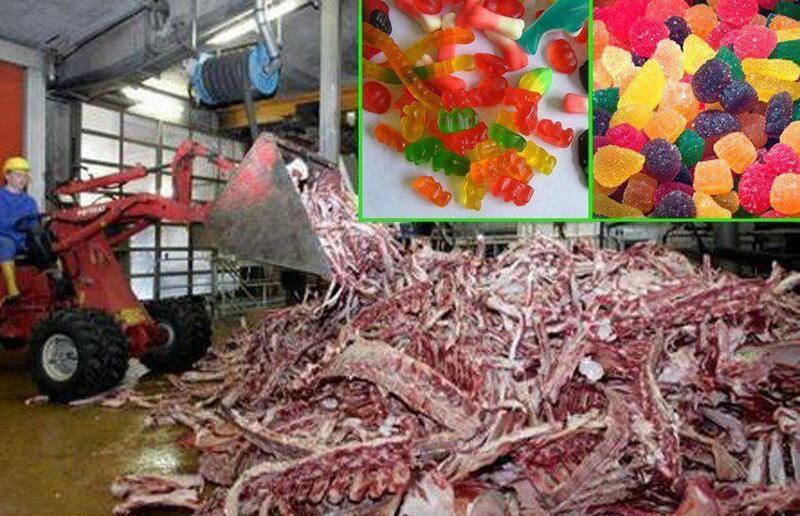 In case you were wondering what gummy candies are made of ??? Gummies or jelly sweets are a broad, general type of Gelatin-based, chewy candy. Gelatin is a translucent, colorless, odorless, and nearly tasteless substance that is made by prolonged boiling of skin, cartilage and bones from animals. It’s made primarily from the stuff meat industries have left over – we’re talking about pork skins and cattle bones. Yummy !!! If this is news to you, it may shed new light on your Great Aunt’s Jell-O mold. And if you love eating chewy candy, you may think twice before chowing down on those gummy worms.